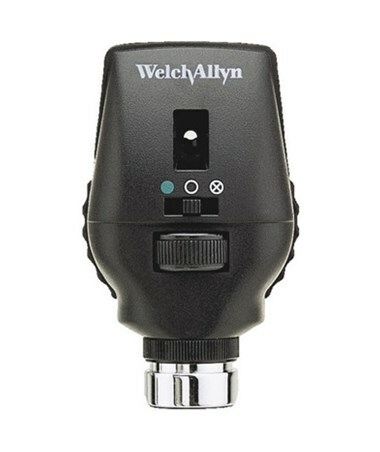 The Welch Allyn Green Series 777 has been designed to put all the tools needed for fast examination and accurate diagnosis within arm's reach, incorporating all the vital diagnostic tools required and improving work processes. This transformer with diagnostic handles guarantees increased productivity with reliable, consistent diagnostic patient data for your facility. Following the massively popular 767 series, the 777 Green Series aims to lower waste and costs by being more energy efficient. The instruments feature LED lamps and automated handles, helping to save energy and money and creating more effective and environmentally practice. Wall transformer: This transformer is designed for exceptional performance. It includes two comfortable, contoured instrument handles which feature rheostats: this allows for quick adjustments of light intensity. Their cradles feature OptiSense, an optical sensor which activates the handles' lamps on removal. The LED lamps used in the instrument handles provide clean bright, white, light. 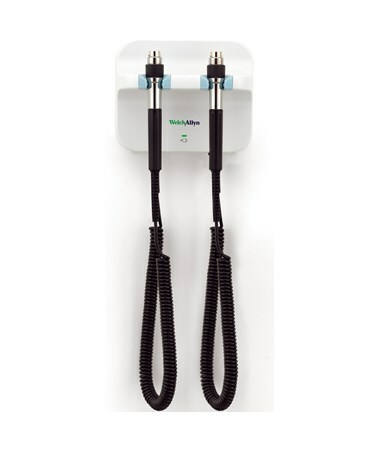 The transformer includes modular coiled cords and an eight foot power cable, which allows for unrestricted installation. KleenSpec Dispensers: This specula dispenser comes ready-loaded with 34 adult and 34 pediatric specula (numbers 52434 and 52432), and is an ideal way to keep a range of differently sized specula on hand. It attaches to the transformer, allowing disposable specula covers to be stored next to diagnostic tools and helping save time and space. 767-Series Wall Aneroid: This aneroid is accurate to within 1% of scale (±3mmHg) and features a laser-engraved dial for precise calibration offering dependable accuracy with every reading. It has a large dial face and brightly colored pointer for easy reading, and 40° swivel for clear viewing at all angles. This aneroid also comes with a built-in basket for secure storage of the inflation system. SureTemp Plus 690 Electronic Thermometer: This thermometer features removable, interchangeable oral/axillary and rectal probes and includes a removable probe well, which reduces the risk of cross-contamination between patients. It is highly accurate and takes reliable readings in a matter of seconds - 4-to-6 second oral readings, 10-to-13 second rectal and pediatric axillary readings and 12-to-15 second adult axillary readings. The large LCD screen displays temperature values in both Farenheit and Celcius, and the device features a last temperature recall button and includes storage space for 25 probe covers. Designed for cost-effective use, this thermometer takes approximately 6,000 readings on a single set of 3 x AA batteries. MacroView Otoscope: The MacroView otoscope gives almost 30% higher magnification compared to standard otoscopes, allowing for dramatically improved visuals of the auditory canal and tympanic membrane. 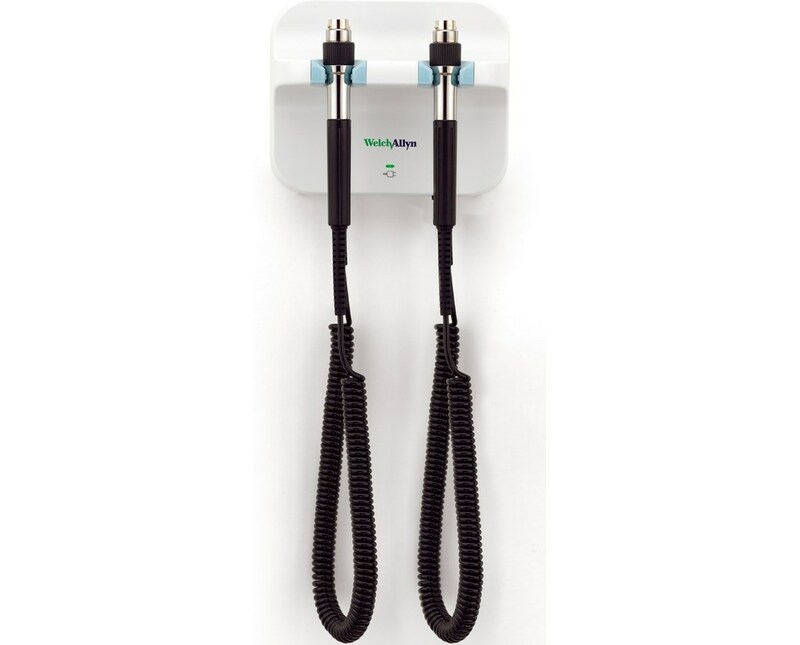 It utilizes fiber optic technology for unheated light and unobstucted, non-reflective examination. This otoscope features a focusing wheel for variable ear canal lengths and a tip grip for secure fastening and easy release of specula. 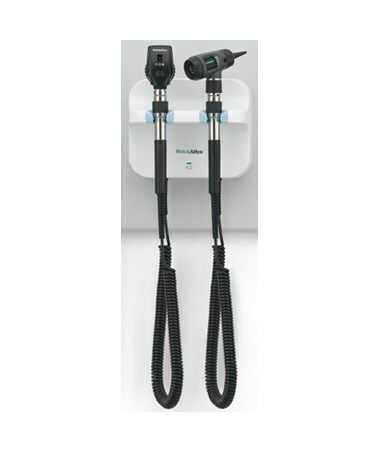 Coaxial Ophthalmoscope: This ophthalmoscope utilizes a patented coaxial system, where the axes of illumination and retinal vision are aligned to eliminate shadows and reflections for clear, precise examination of differently-sized pupils, vitreous disorders, fundus and interior anatomy. This versatile instrument features 28 lenses with a range of -25 - +40 diopters, and 18 possible apertures. It has an illuminated dial lens and a brow rest for hassle-free, safe use, and has a light beam which can be used to examine the inner ocular structures with impressive detail. PanOptic Ophthalmoscope: The PanOptic ophthalmoscope is a revolutionary diagnostic tool that makes the inner eye and its functions completely accesible. It allows practitioners to observe hypertension, diabetic retinopathy and papilledema, amongst other conditions. It offers a 25º field of view and 5x more magnified view of the fundus, and utilizes a patented Glare Extinguishing System to further optimize the tool's impressive visual capacity. PanOptic Ophthalmoscope with Cobalt Filter and Corneal Viewing Lens: This diagnostic tool has all the impressive features of the standard PanOptic ophthalmoscope, with an added cobalt-blue filter and corneal viewing lens for detecting abrasions and damage to the cornea. It is available with a choice of standard halogen or advanced LED lighting. Dimensions 10" x 34.9" x 12.9"